CHAMPIONSHIP pacesetters Raith Rovers have been hit with a selection crisis following an injury to on-loan Aberdeen keeper Aaron Lennox. The Australia under-23 cap picked up a hamstring problem after just 20 minutes of Saturday’s Fife derby triumph over bitter rivals Dunfermline but saw out the rest of the 90 minutes despite being in obvious pain. The former QPR player was unable to take goal-kicks or kick from hand and clearly had severely restricted movement but, with substitute Kevin Cuthbert also carrying an injury, was forced to soldier on to a hard-earned clean sheet in the 2-0 victory. Manager Gary Locke, whose side top the second-tier after three wins from three, has revealed he now expects Lennox to be sidelined for at least a fortnight. And, even though he is hopeful of Cuthbert recovering from a dead leg in time to return against Dundee United this weekend, the Stark’s Park boss has admitted he may have to make a special plea to his board for extra funds to make a new signing to cover for Lennox’s absence. He said: “I was delighted with Aaron, he showed a lot of character to get through the game. He pulled his hamstring early in the game but Kevin Cuthbert is injured as well. “It’s sod’s law. Very rarely do you get two goalkeepers injured. “We’re hopeful that Kevin might be okay for this weekend, so we might get away with one there. “But I might need to go and speak to the chairman and the board to see if they can give me a wee bit more money to try to get some cover in. 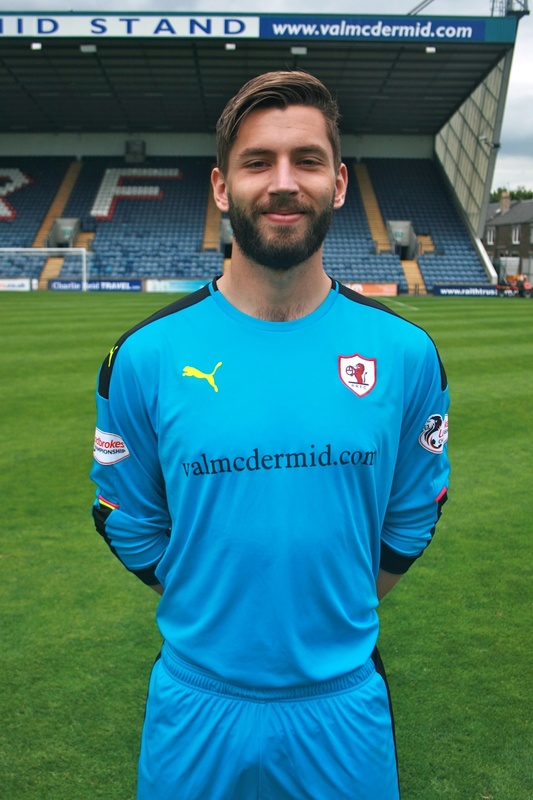 Lennox pulled off a fantastic save from Kallum Higginbotham’s first-half free-kick but, despite his lack of mobility, was very rarely troubled by Dunfermline’s tame attack. Locke added: “I was really worried because when Dunfermline played a couple of balls over the top you could see he couldn’t come and get them. “But Kevin wasn’t much fitter than him, so great credit to Aaron.